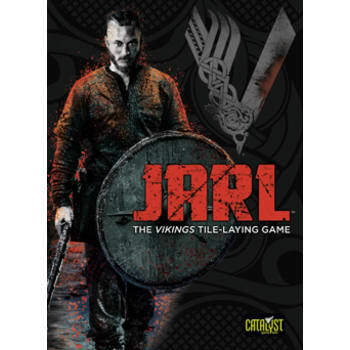 In Jarl: The Vikings Tile Laying Game, players move their warriors (tiles) around the board and flip them over after each move. Each tile's side shows a different movement profile. If you end your movement in a square occupied by an opponent's tile, you capture that tile. Capture your opponent's Jarl to win! Uses the same game system as and integrates with The Duke.